DietingDiet.com has been in development for sometime now and we are getting more and more excited the closer we come to letting you see what we have been up to. 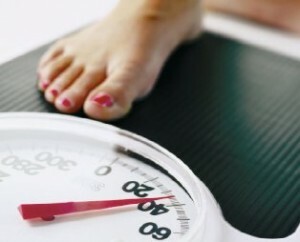 Losing weight and dieting properly has been one of the most difficult tasks that we set ourselves. It’s just to easy to give up or break the rules. We have been creating a way for you to lose weight in a structured and ordered way so that you can keep track of where you’ve been, where you are and where you are going in your diet. We’ve got weekly, weigh in milestones for you to meet, start and end timeframes for your diet, estimated weight/BMI/BMR targets each week – and that is just to start with. As time goes on – we’ll be adding features that you want and need. These are all in development right now! So you’ve heard of a few diets and want to try one of them – but are they right for you and your lifestyle? We are going to give you all the information and support you need in order to make that decision. We’ll also let you follow your favourite diet and get information about it as you do it. This will help you to stick to your chosen diet throughout – no sweat. You should never start a diet without specifying when it is going to end. We are starting a campaign of “No more open ended diets“. We are forcing you to diet between specific timeframes so you’ll know where you are starting and what your target is as well as when you have to meet it. This allows you to focus your determination and gives you a dieting goal. We hope you are as excited as we are. We will also be very eager to gain your feedback about what you think we can do to improve – so whenever you are ready, jump in and let us know what you think. Man – I hope all this will be good! Most if not all other services like this are terrible. When is it going live?